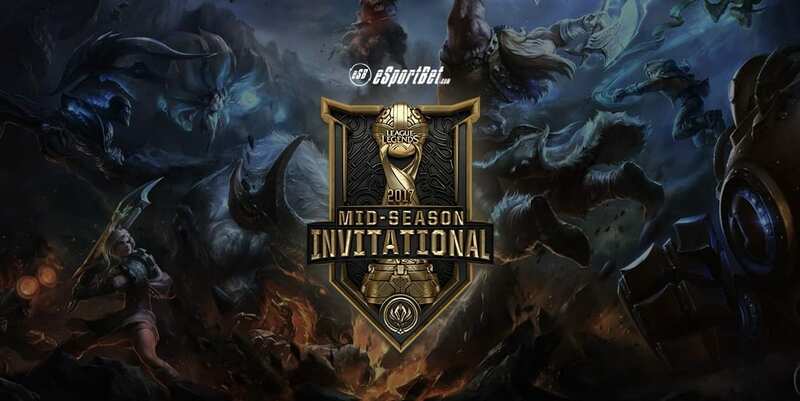 At the end of the first split of League of Legends is the Mid-Season Invitational, a tournament that takes place in late April to May where the top teams of each region compete not only for a cash prize but also for global ranking. As many as 13 regions are represented in this tournament, with the most popular regions being North America, Europe, China, Korea and Taiwan/Hong Kong/Macau. Depending on the results for the past couple years, Riot will decide which teams are automatically seeded and which teams will have to go to a play-in stage in order to compete on the big stage. Four months into 2018 and the League of Legends professional scene has changed forever. For the first time in history, SK Telecom T1 won’t be representing the LCK in the Mid-Season Invitational (MSI). The three-time world champions ended in fourth place after losing the first round of the playoffs against KT Rolster. Losing the Spring Split is a new occurrence for the legendary team lead by Lee “Faker” Sang-hyeok. With SK Telecom T1 out of the picture, the MSI will have a new champion for the first time since 2015. This year, six teams will take part in the main event. The four major regions (NA, EU, LCK and LPL) will be seeded directly. The remaining two teams will be the top two from the Play-In stage. Like every year, the fans are rooting for their regions but the representatives are yet to be determined. The NA LCS went through many changes since the 2017 Summer Split. The franchising brought new teams, owners and players. As a result the regular season was full with upsets and surprises. Perhaps the biggest surprise was that 100 Thieves, a new organization, finished in the first place. The MSI representative will be determined on April 8. 100 Thieves and Team Liquid will play best-of-5 in Miami and a new champion will be crowned. Based on the performance through the entire season, 100 Thieves would be the best contender on an international stage. Update: Team Liquid beat 100 Thieves 3-0 to qualify from North America. A couple hours before the NA LCS final, the EU LCS will have their final match of the Spring Season. G2 Esports will be facing Fnatics. G2 Esports is the European team with the best record in the MSI. In 2017 they ended up in second place, they lost against SK Telecom T1 in that occasion. Both teams are motivated, especially since the announcement that the EU LCS would be franchising in 2019. At this point, all the teams are trying to do their best to attract interest and increase their chances to make it to the franchised EU LCS. Update: Fnatic have qualified from Europe with a 3-0 win over G2. All eyes are on the LCK. SK Telecom T1 was defeated by KT Rolster and now they must face Afreeca Freecs. The winner will go against KING-ZONE Dragon X in Busan next April 14. The LCK Spring Split final is one of the most important events for the community. Through the years, Korea has proven to be the strongest region. This is the first time a team other than SK Telecom T1 represents Korea. After a solid Spring Split, experts believe that KING-ZONE Dragon X will be the champions. This international tournament is a test for the team. In 2017, they were favorites to win the World Championship but they couldn’t make out of the quarterfinals. The LPL has a long way to go before the MSI. They’re still playing the regular season and it won’t be until April 28 when they will have a champion. If the regular season is anything to go by, Edward Gaming and Invictus Gaming are the favorites to make it to the finals. Invictus Gaming is a well-known name in the community, this could be their first international appearance. Edward Gaming, in the other hand, was the first MSI champion. The fans will have to wait for their champion a couple of weeks. The MSI 2018 will again pit the best League of Legends regions around the world against each other. As with all the big eSports events there is an abundance of markets available to bet on in the lead-up and even more markets in the hours before. The following table is geo-targed to only show sports betting sites you are eligible to sign up at. A few of our personal LoL bet sites are BetOnline.ag, ArcaneBet.com and Betway. There is no odds released for the 2018 edition of the Mid-Season Invitational released yet, with the Championship Series still underway around the world. Expect markets to appear when invitations are sent out for the tournament. Depending on how the competing regions competed internationally as well as domestically, their rankings within the pseudo gauntlet are determined. The top three regions from this result will be placed in the main tournament six team bracket. This part is when it gets tricky – the next 2 top teams will be placed in the four team play in stage, where only three teams will advance to the main six team bracket. The three teams that are decided are the top two teams from this group and a losers match from the bottom two teams from this group. The twp vacant slots from the play in stage are decided by an eight team qualifying stage, where the regions below the top five play for the two slots for the play in stage. The regions that are usually the top five are NA, CN, KR, EU and LMS, which means the eight eight teams that are in the qualifying stage usually consist of the other teams listed above. Regardless of the outcome for each team, there will be a minimum prize for each participant. These numbers are the bare minimum that each position will receive and are usually bolstered by the sale of a specially made skin for the event. The former line of skins were called “Championship” skins but Riot has since released the new line of “Conqueror” skins, where 25 per cent of the revenue for the skins will be added to the pot. This tournament is significant for global ranking as well. The top four teams from MSI will have number 1 seeds for the four main groups at the world tournament that begins around September. In addition, the highest ranking team from the eight teams in the qualifying stage will secure a spot in the main group stage as well. MSI can be a tournament for an undiscovered region to finally be in the limelight and then continue that streak through international success. When is the LCS Mid-Season Invitational? Dates for the 2018 edition are yet to be released, bookmark this page and we’ll update it when they are announced. In the 2017 MSI, NA’s Team SoloMid and LMS’ Flash Wolves were in the play in group, with TUR’s SuperMassive Esports and SEA’s Gigabyte Marines challenging them for the main spots in the 6 team main tournament. SME was eliminated, and after the round robin group stage, the top four teams were SKT T1 from KR, G2 from EU, FW from LMS and WE from CN. SKT T1 emerged victorious over G2 Esports and received just over $670,000 USD as a result. All four semifinalists secured a group stage spot in the 2017 Worlds tournament as well, with Gigabyte Marines between the most surprising standout of all the qualifier teams.